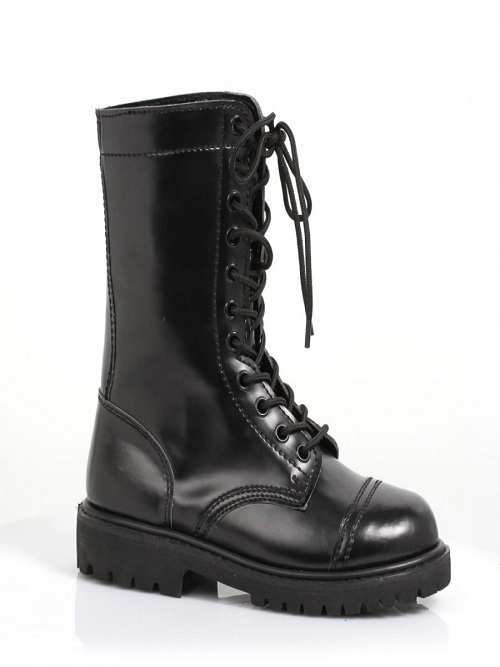 Women’s 1″ Ankle Combat Boot with Front Lace Up. 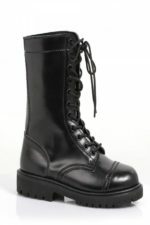 Great for 80’s boot. Rental is for 3 days. A longer rental periods are available. A deposit is required. 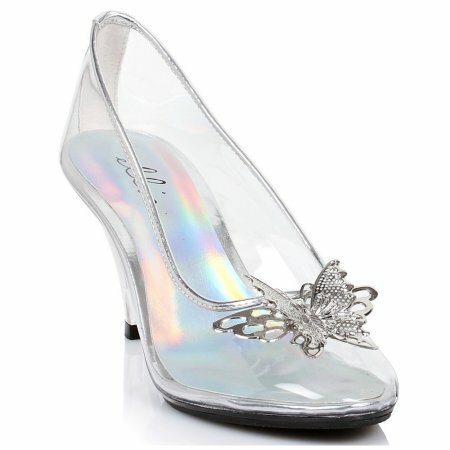 Women’s 3 Inch Heel Clear shoe With Butterfly. 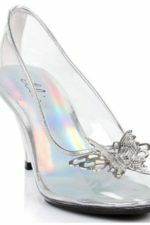 A beautiful shoe for Cinderella or any princess. Rental period is for 3 days. Longer rental periods are available. A deposit is required. To reserve, you can call or stop in. 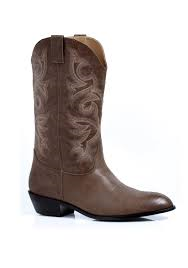 1.5″ Heel Men’s Western Rodeo Cowboy Boot. Rental is for 3 days. Longer rental periods are available. A deposit is required. Stop in or call us to reserve this item. 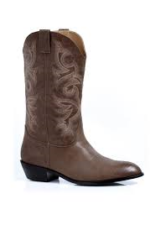 1.5″ Heel Men’s Western Rodeo Cowboy Boot. 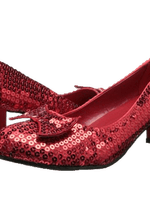 A red sequin dorothy shoe with a 2″ heel. Rental is for 3 days. Longer rental periods are available. A deposit is required. You can call or stop in to reserve this item. 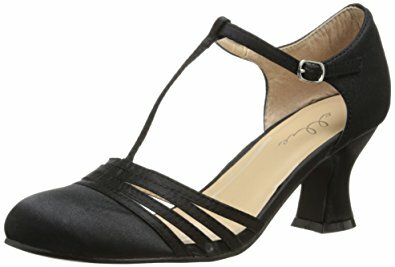 This flat bottom sandal will make your feet look like you are wearing shoes like a gladiator wore. . 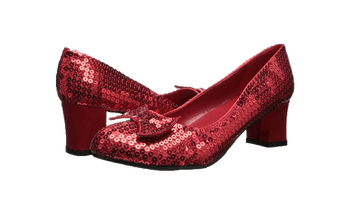 The Black and White Fred Shoes feature a 1″ heel squared toe lace-up top and patent accents. 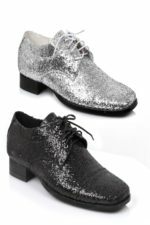 Whether you are a gun-fighting gangster dressed to impress or a graceful gentleman working on your fancy footwork these shoes add an authentic finishing touch. 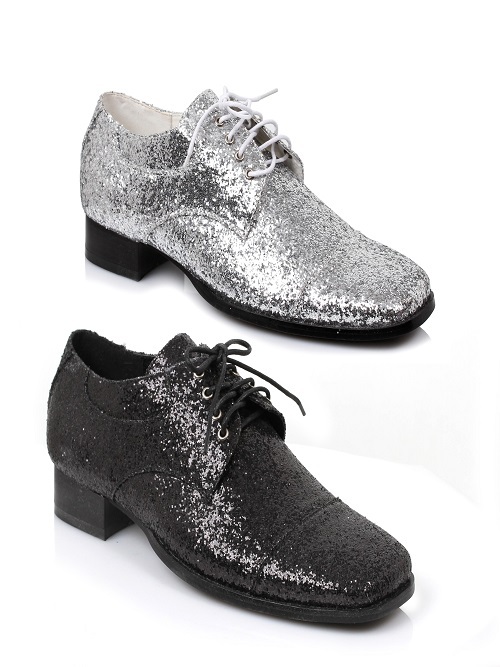 Men’s glitter shoe in gold or silver. 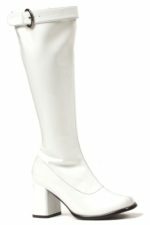 Women’s 3 Inch Knee High Boots With Zipper And Buckle in wide calf. Comes in color white.